Your ticket to unbeatable year-round savings and discount Big Island golf deals! For more than two decades, the HawaiiGolfDeals’ exclusive GOLFHAWAIICARD delivers discount Big Island golf deals. Subscribers enjoy UNLIMITED GOLF, shared power cart and tee time availability up to 90 days in advance, along with other added-values at all participating courses. 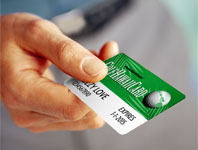 Your best discount Big Island golf deal is always the GOLFHAWAIICARD. HawaiiGolfDeals delivers the best discount Big Island golf deals on Hawaii golf vacation packages at the absolute best price. No other golf provider has air, vehicle, lodging and golf contracts. And for good reason… Our over two decades of experience and extensive knowledge of Big Island golf and travel really delivers on all levels. A HawaiiGolfDeals vacation maximizes your golf experience and heightens your value quotient (no matter where you choose to lodge). That’s why NOBODY BEATS OUR DEALS! 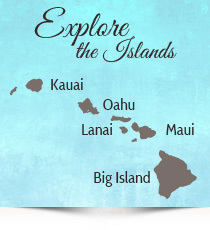 Please keep in mind: WE CAN BOOK VIRTUALLY ANY LODGING PROPERTY ON THE BIG ISLAND. However, our preferred properties deliver unsurpassed quality at the best price.